Salvador – the city where Brown was born and where the three artists met to compose the tracks for their latest work – was chosen as the starting point for the tour. The trio performed in 10 other Brazilian cities at stadiums and major venues. In the Fall of 2018 they did their first European tour with shows in Portugal, Spain, Germany, Switzerland, England, Belgium and Italy. Released in 2002, sales of the First CD/DVD by the Tribalistas hit the three million mark and was an instant phenomenon, not only in Brazil but in other countries too, including France, Italy, Spain, Portugal and Argentina. They won the Latin Grammy Award for Best Pop Album in Portuguese and were also nominated for Album of the Year and Record of the Year for the hit song “Ja Sei Namorar”. 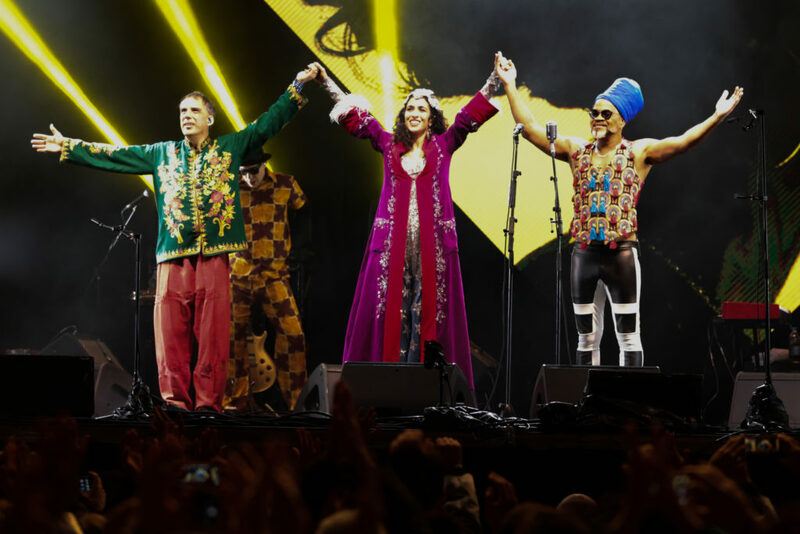 Tuned in, as they are, to all the technological advances over recent years, two weeks before the last Tribalistas album was launched, in August 2017, Marisa Monte, Arnaldo Antunes and Carlinhos Brown surprised their fans with an online performance of four of their brand new songs. The live broadcast occurred simultaneously on the artists’ fan page and had 5.62 million views by followers in 52 countries, including Brazil, all of Latin America, United States, France, Spain, Japan, Russia and even Pakistan. The new album also earned a Latin Grammy nomination for “Aliança” for Best Portuguese Language Song. It was an immediate success. According to data from Spotify, the release of the four singles produced the best performance in the MPB (Brazilian Popular Music) category since the platform reached Brazil, in 2014. All four hit the Top 100 Spotify and there was an increase of 65% in the group’s monthly listeners. Taking just the 23-27 years demographic, the increase was 73%. 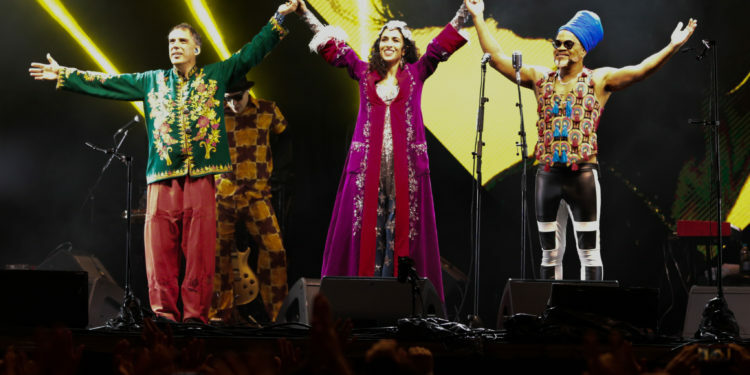 Leonardo Netto and the Tribalistas are responsible for overall direction of the tour, with art direction by Batman Zavareze and with Simon Fuller in charge of production. US tour presented by Live Nation in partnership with Brazilian Nites.